After sitting for many months on my spinning wheel, most of the winter in fact, these braids finally got finished. The color is Thistle from Fiber Optic. 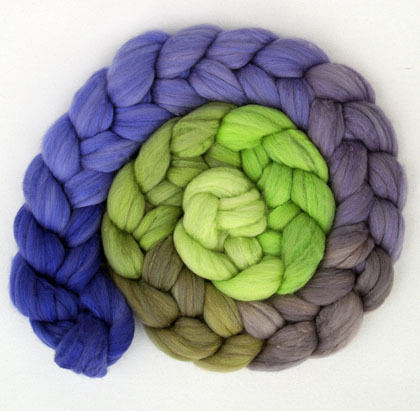 Notice the green, which was the first spun, twisted the most upon plying. 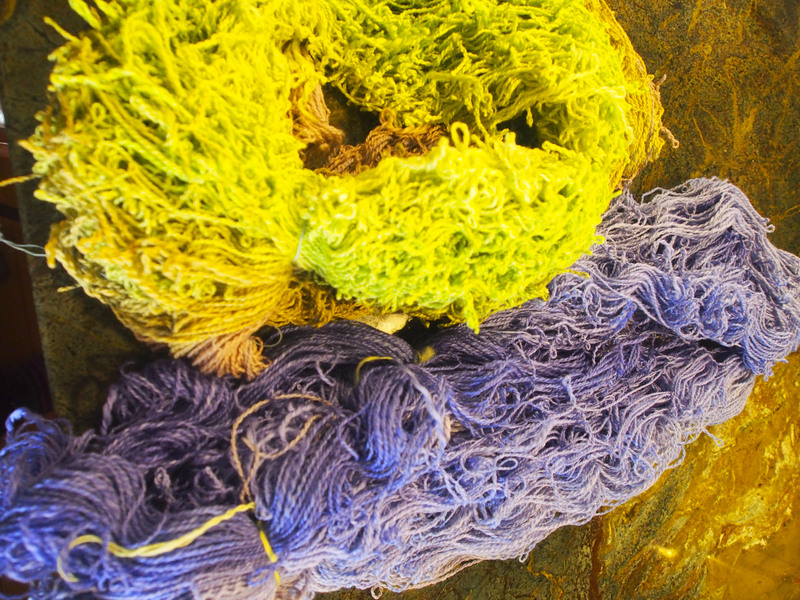 Not to fear though, a nice hot bath, some snapping and hang in to dry produced a very beautiful yarn. Total yardage: 1,070. I thought that my spinning was very fine, but this seems to be my usual as of late. 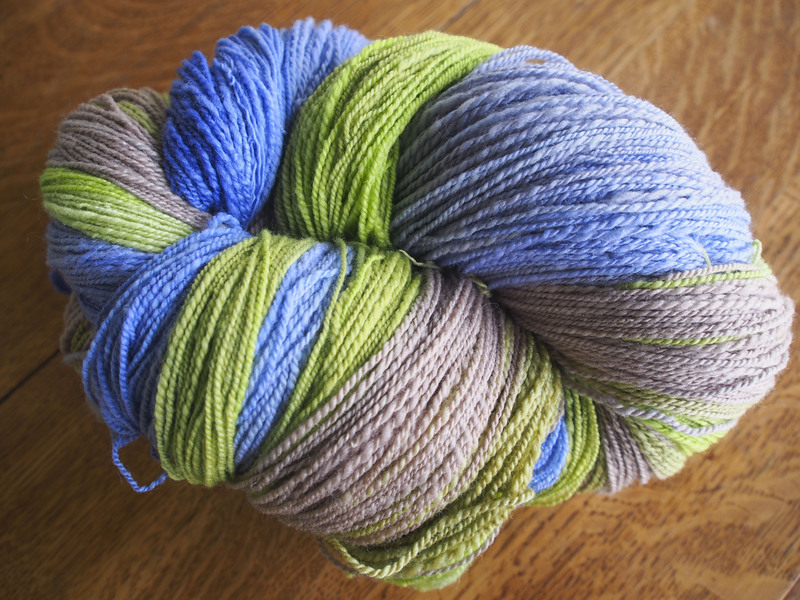 At least the colors were a perfect match from braid to braid, and I had very little left over on 1 bobbin. My thought is another faroese shawl, or perhaps something long and lean. Can’t wait to see why you do with the yarn. Very pretty.